The Wyatt Hotel and JW’s Brasserie are delighted to introduce a fantastic Set Menu from 12 noon daily. Enjoy 2 courses for just €22.50 or 3 courses for €27.50 per person. No pre-booking is required however as JW’s Brasserie is a really popular place to eat we recommend booking. 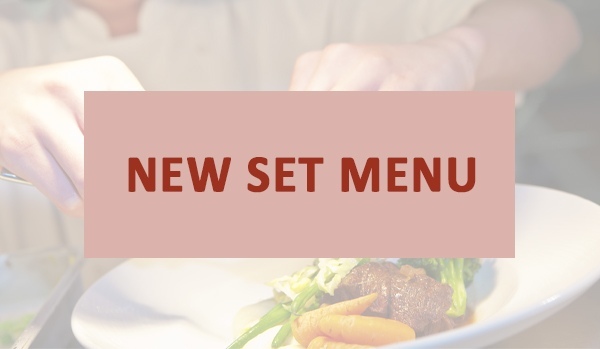 The new menu is a culinary delight set to satisfy any discerning foodie... Starters include locally sourced ingredients and indulge in a range of dressings and fabulous presentation. For the main event the choices do not disappoint and include JW’s bestselling Duck Dish, Lamb Shank as well as a 10oz Sirloin Steak with no additional charge!! All main courses are served with a selection of steamed market vegetables and baby potatoes. To finish a tasty selection of dessert plates include Sticky Toffee Pudding, Cheesecake, Chocolate Mousse as well as the popular Chefs Trio of Miniature Desserts. The new set menu has no time restriction and is served daily from 12 noon to 8.45pm. Groups are welcome to dine from the Set Menu and pre-booking is recommended.